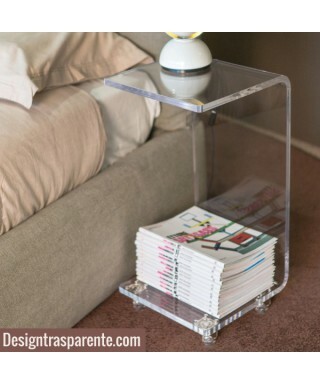 Acrylic bedside tables with or without shelf, available in a lot of standard dimensions. For tailor-made products send us an application. Good for every kind of decor, thanks to its total transparency.